Happy Saturday everyone! Are you ready for another Etsy Inspired Challenge? 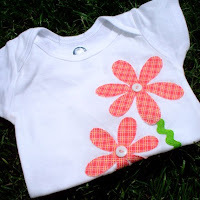 If you have a special little girl in your life you are going to love this week's shop, Chicy Creations. It is filled with the cutest hair bows, tutus, and onesies. Just look at these adorable items! 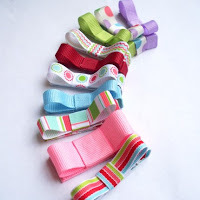 I just love the ribbons and flowers she uses for her hair accessories...so bright and fun! Perfect for any little girl! 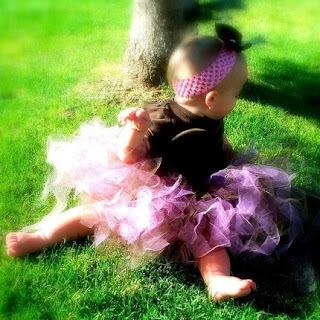 How precious is that baby girl in the tutu! What a sweet picture! 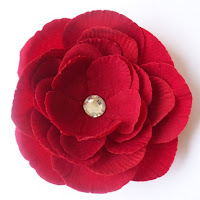 For this week's prize, Chicy Creations is offering up this beautiful Red Rose Velvet Hair Clip. All you have to do is go check out Chicy Creation's shop and find an item that inspires you. Then create a project of your own and link it back up to this post by Friday, June 12th at noon PST for your chance to win this week's prize. Now be sure to check out the Design Team's blogs to see what fabulousness they have created for you this week! And please welcome our new Guest Designers...Carole and Jenn! If you upload your project to SCS or PCP please use keyword EIC39. Now go be EtsyInspired! Such a CUTE store -- Love the DT cards -- so fabulous!